William Paterson University food services provided students with the ultimate meal last week, grape tortillas. The food court like Billy Bear Grill, Simply Logo and The Wingery have a reputation of high quality delicious food. Despite not knowing if the grape tortillas would be a hit on campus, the food service team took on the challenge. The day of the grape tortillas began like any other day on campus. During common hour students made their way to the student center for either food or activities. As people entered the student center they noticed an unusual long line at Simply Logo. By 1 p.m. the line at Simply Logo went down the food court dinning area to the end of the hall. Students and faculty made the line to order the grape tortillas. 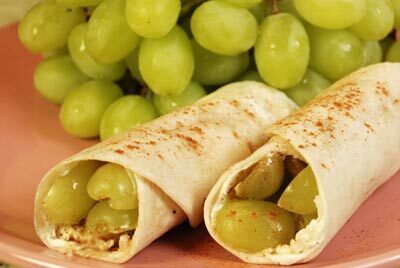 The grape tortillas were described by everyone as a fresh tender sweet delight. Carefully open the tortillas bag to avoid tearing. Brush butter on the tortilla as if you were painting a canvas. Place the tortilla in the microwave for five minutes. Prepare the grapes and lettuce by washing and gently drying them. If you are adding cheese or onions, cut them thinly. Take the tortilla out the microwave and place toppings accordingly. If you are going to make the grape tortillas at your home or dorm remember that no place can make them like William Paterson. Their culinary skills and tortillas expertise is what makes these one of a kind. Students, you heard it here first! William Paterson may be the place where all your tortilla dreams come true. Until then enjoy all of the other delicious food options on campus, since you have plenty to choose from. Enjoy!